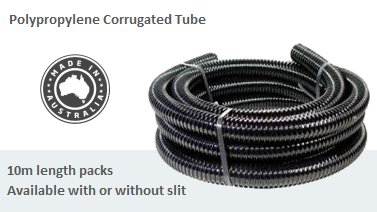 Australian made corrugated polypropylene or nylon conduit available in a range of sizes. 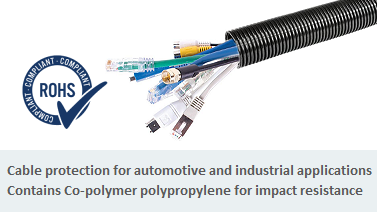 Designed primarily as a protective conduit for automotive and industrial wiring, its applications have extended to data, process control and workstation cabling. The conduit has good chemical resistance, is UV stabilised and is able to withstand a wide temperature range. Polypropylene corrugated tube is also available with a slit to allow fitting to existing terminated cable runs and provides the ability to branch loomed cables. 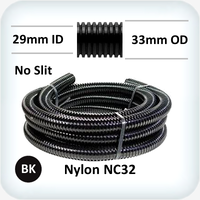 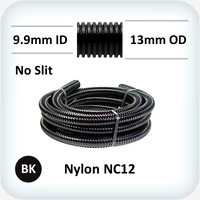 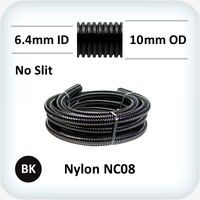 We now have three ranges of glands to suit corrugated conduit, Quick Connect, Weatherproof, and Heavy Duty.